Turning on local radio gives consumers an instantaneous, live window to the Austin community and also provides our clients a platform for motivating listeners to do business with their company. More than ever before, radio stations are community conversation hubs that allow for a powerful dialogue between trusted taste-makers and the public. At Advertise ATX, we see radio as an incredibly efficient and powerful medium for integrating brands with this ongoing dialogue. Why is radio unique? WHO DOES RADIO REACH IN AUSTIN? When it comes to radio in Austin, 90% of Austinites were reached yesterday. These radio listeners are easily broken down into different ages and genders, with different educations and incomes, and urgent needs. Every station has a specific format (news, classic rock, adult contemporary, etc) -- as well as a primary audience. It's important to align your business with the radio station(s) that speaks to your target consumers. 101X is an Alternative format featuring the hottest new rock hits mixed with alternative classics. In addition to playing the latest music and its award-winning Jason and Deb “Morning X” show, younger Austinites listen to 101X for the latest trends in Austin on where to eat, where to party, what to watch, and what's cool. Primary Audience: 18-40 year old trendsetters who are active and moving into their peak spending years. Primary Audience: 30-50 year old, college-educated homeowners in the phase of upgrading their lives. 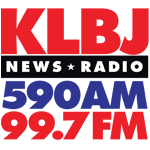 Newsradio KLBJ is Austin's only 24-hour "News" and "Talk" station with a powerful signal that reaches over 177,000 listeners weekly. Austinites have been tuning into Newsradio KLBJ since 1939 for updates on what is happening in their community and around the world. Primary Audience: 35-64 year old, college-educated, professional decision makers with high disposable incomes. 93-3 KGSR is an Adult Alternative station that is a mainstay in the Austin community. Through its events and local partnerships, creating awareness for charitable causes and important community issues. As a musical tastemaker, KGSR discovers modern music for Austinites, including indie artists, singer-songwriters, and local artists. Primary Audience: 25-49 year old, career-minded professionals busy with full-time jobs, homes, and families. 107.1 La Z is a Regional Mexican station that serves the Mexican Community in Austin and Central Texas. With 100% of its programming in Spanish, listeners enjoy La Z for the connection to their culture, personal values, and musical traditions. Primary Audience: 18-49 year old Spanish-dominant, newly immigrated-3rd generation adults of Mexican descent. Full-time workers who value spending time with family and partying with friends at night clubs. BOB-FM is an unconventional, hits-driven station playing songs ranging from the 1960s to today’s new releases. As the one station in Austin that the entire family can agree on, BOB has one of the largest audiences in the market at almost half a million listeners each week. Primary Audience: 18-64 year old, family-driven individuals with high incomes and education levels. LATINO 102.7 is Austin’s only contemporary Spanish-language station and serves today’s multi-cultural Hispanic community in Central Texas. Presented primarily in Spanish with local personalities, LATINO 102.7 provides fun, informative, culturally relevant Spanish-language content and music for Austin’s ever-growing bilingual population. Primary Audience: 18-34 year old workers with full-time jobs who enjoy partying with friends, are bi-lingual, and proud to be Latino.